If you’re looking for the next new thing in the automotive world, you’ve come to the right place. That’s because today we’ll be talking about electric cars and SUVs with all-wheel drive. This segment is so new that there are only a few EVs with AWD available for the 2019 model year. Yet some exciting new entries are on the horizon, and we’ll provide early info on those, too. Finally, for more affordability and less range anxiety, we’ll see how the top plug-in models with all-wheel drive stack up. 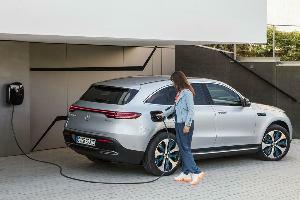 They still offer a substantial amount of all-electric driving, but plug-in hybrids also have gasoline engines on board. As a result, you can drive as far as a “regular” car if you ever happen to run out of electricity. Only one company currently sells both electric cars and SUVs with all-wheel drive, and it’s the same automaker that leads so many of the EV rankings: Tesla. 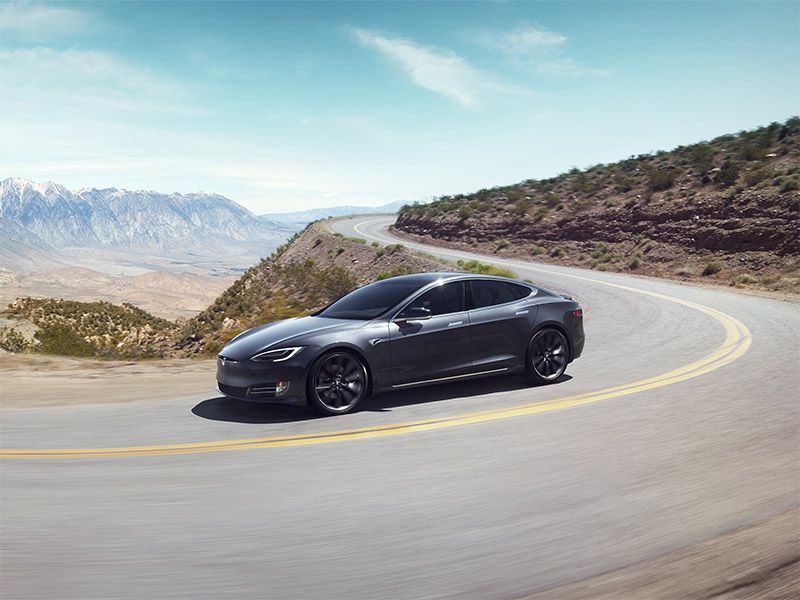 The starting point here is the 2019 Tesla Model S, which is the brand’s full-size flagship sedan. It packs AWD as standard equipment, along with features like 12-way power-adjustable heated front seats, a massive 17-inch touchscreen, a mobile Wi-Fi hotspot, and a spectacular glass roof. The car’s specs also are pretty spectacular. The long-range model has an EPA-certified all-electric driving range of 335 miles, and a 0-60 time of 4.1 seconds. Opt for the performance setup and the car’s range will fall slightly to 315 miles, but you can reach 60 mph in just 2.4 seconds. 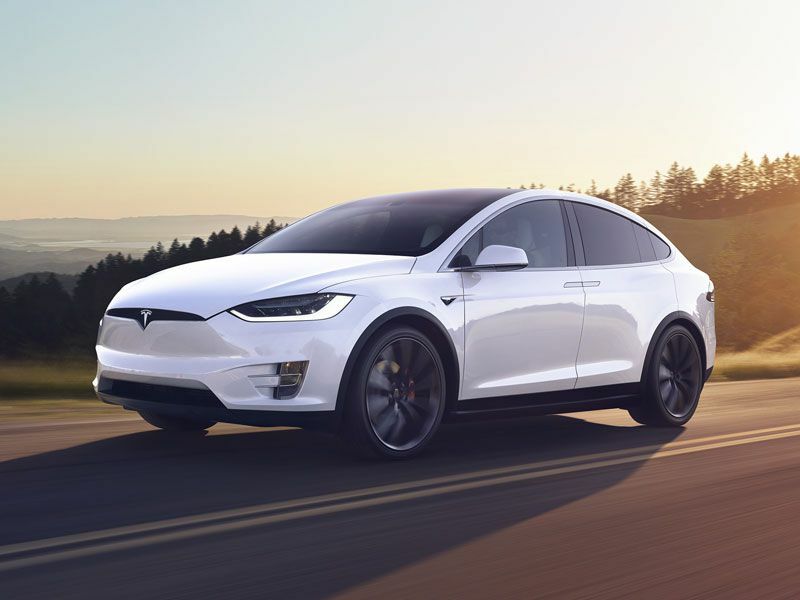 Tesla’s electric cars and SUVs also include the Model X sport-utility vehicle. The 2019 Tesla Model X may not look like it can handle the Rubicon trail, but it can fit seven people in three rows, handle 88 cubic feet of cargo, and tow up to 5,000 pounds. Further, while many gas-powered SUVs charge extra for all-wheel drive, it’s standard with the Model X. Also standard are Tesla technologies that span from the brand’s hallmark 17-inch touchscreen to the vehicle’s fancy “falcon wing” back doors. They’re hinged at the top and open vertically for improved access to the back rows. 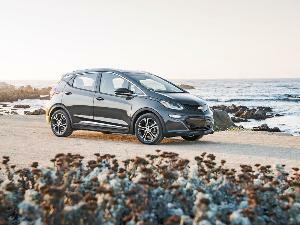 In terms of all-electric driving, the long-range battery pack provides up to 295 miles of travel on a single charge. Even Tesla’s entry model qualifies for our list of electric cars and SUVs with all-wheel drive. Of course, the 2019 Tesla Model 3 isn’t much like a typical entry-level car. Not only is all-wheel drive standard, so is a long list of other Tesla treats. For instance, the cabin is well-appointed with the usual large touchscreen, mobile Wi-Fi, and heated seats both front and back. 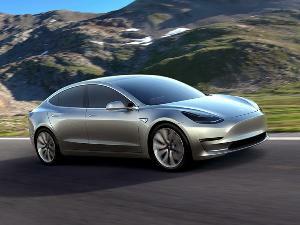 Then, like all Tesla vehicles, the Model 3 features Autopilot technology for high levels of driver assistance. 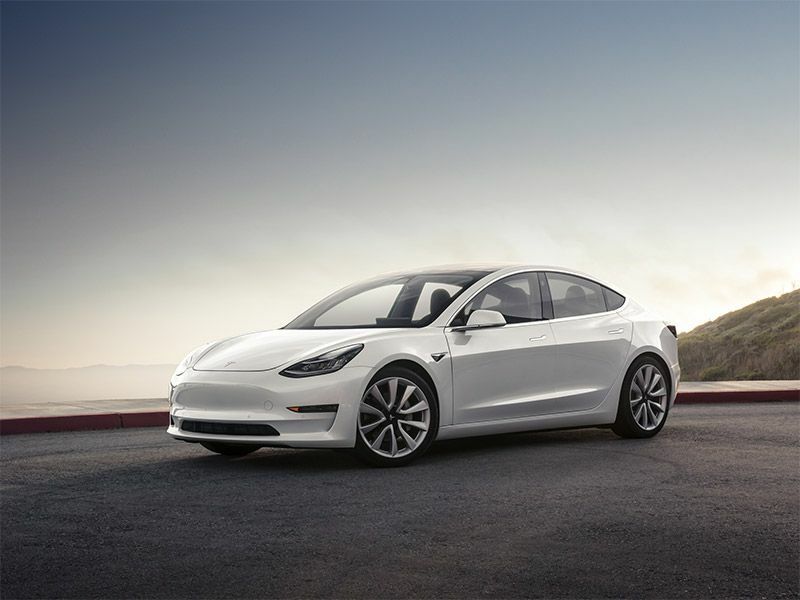 The Model 3 also is the most efficient of the 2019 Teslas, with an EPA line that goes as high as 136 MPGe city/123 MPGe highway/130 MPGe combined - all with an overall single-charge driving range of 310 miles. A lot of other automakers that are known for gas-powered vehicles say they’ll be selling electric cars and SUVs with all-wheel drive. 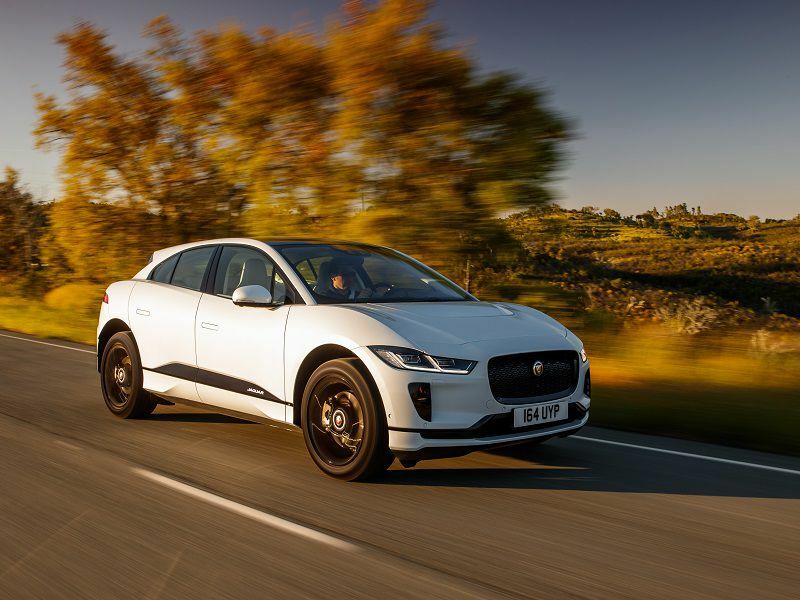 When this story was published, however, the only non-Tesla EV with AWD and official EPA ratings was the 2019 Jaguar I-PACE. 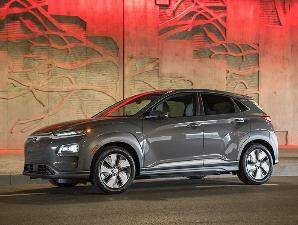 This compact SUV combines audacious styling with an all-electric driving range of 234 miles. With that kind of range, you have plenty of time to enjoy the vehicle’s dual-screen infotainment system with Android Auto, Apple CarPlay, and compatibility with Amazon’s Alexa. Enthusiasts also will love the Jaguar’s cat-like reflexes and electric performance. 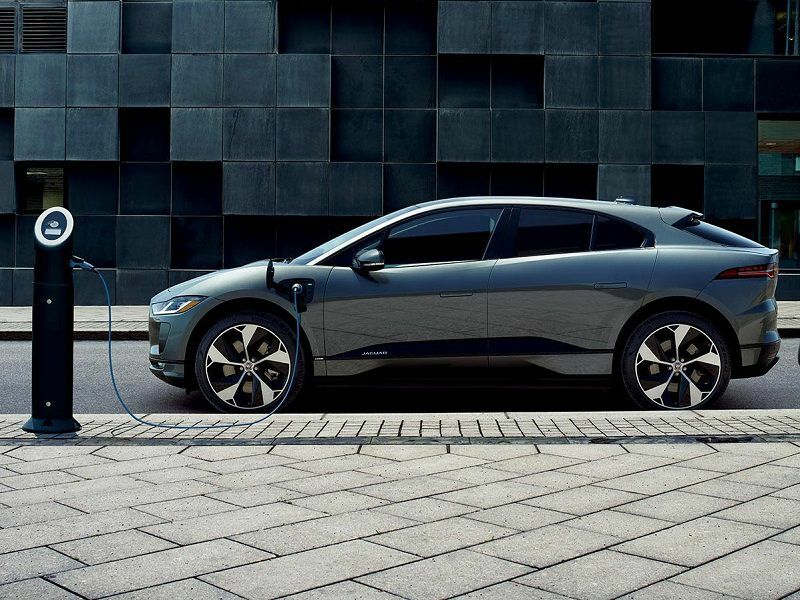 The I-Pace can leap off the line with enough output - 394 hp and 512 lb-ft of torque - to reach 60 mph in 4.5 seconds. An air suspension is standard, as well. 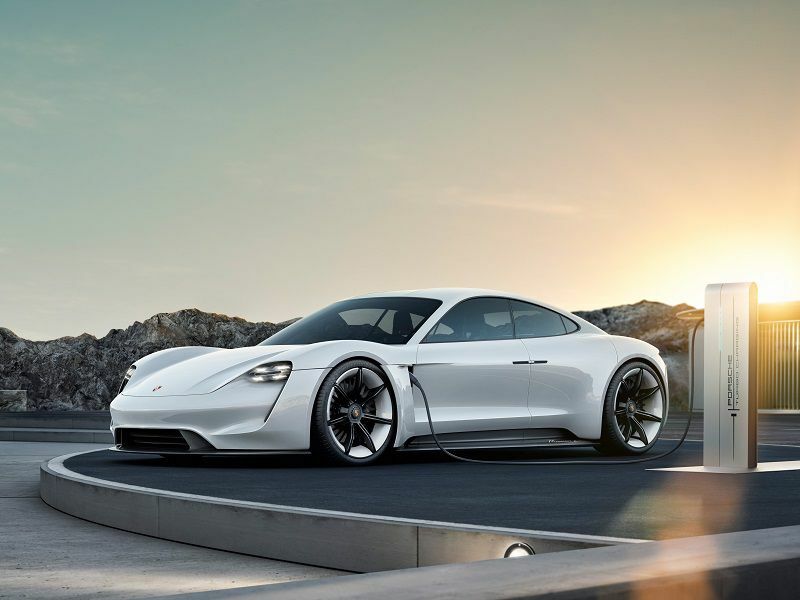 The company is reporting a range of 300 miles for the car, and that’s complemented by Porsche-style performance. The Taycan’s high-tech powertrain is expected to deliver 600 hp, a top speed of 155 mph, and 0 to 60 times below 3.5 seconds. The Taycan also is track friendly, with features like an underbody battery pack that fills the area between the front and rear axles for optimum weight distribution. The rest of the vehicle also lives up to Audi’s standards, with the automaker’s latest digital instrument panel plus Bang & Olufsen audio, Amazon Alexa compatibility, and superior cabin design. The e-tron will be able to tow two tons, too. 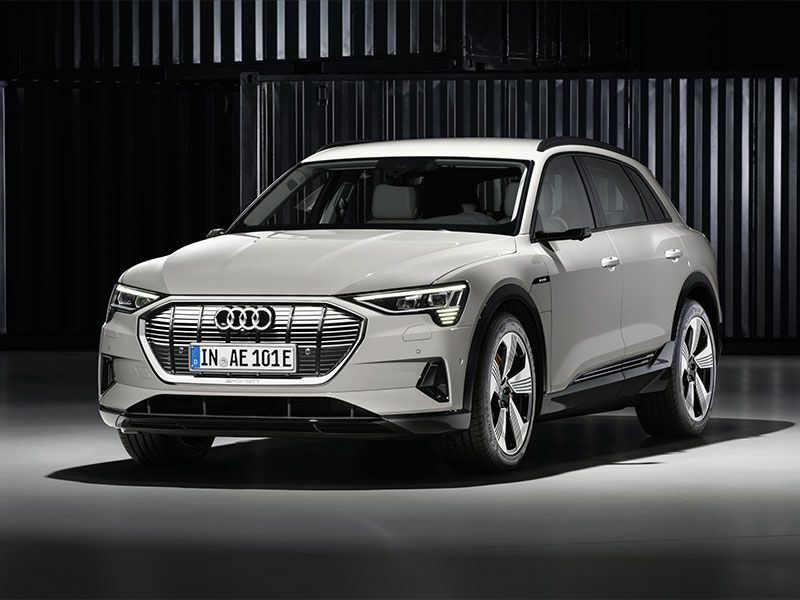 The complete numbers are still to come, though Audi promises 160 miles of travel on 30 minutes of charging. Due to the dearth of all-electric cars and SUVs with all-wheel drive, we’ll finish out today’s gallery with a few of the longest-range plug-in hybrids with AWD. Setting the benchmark: the 2019 Volvo S60 PHEV (Plug-in Hybrid Electric Vehicle). This midsize sedan starts with 22 miles of all-electric driving at 74 MPGe combined. Next, for longer distances, a supercharged and turbocharged gas engine can take over. That powerplant extends your driving range another 500 miles, with an EPA rating of 31 mpg combined. The S60 also is all-new for 2019, so it carries cutting-edge technologies and comforts. Prefer a performance-focused ride? The Polestar model is configured with Brembo brakes, Öhlins suspension dampers, and lightweight forged aluminum wheels for incredible dynamics. 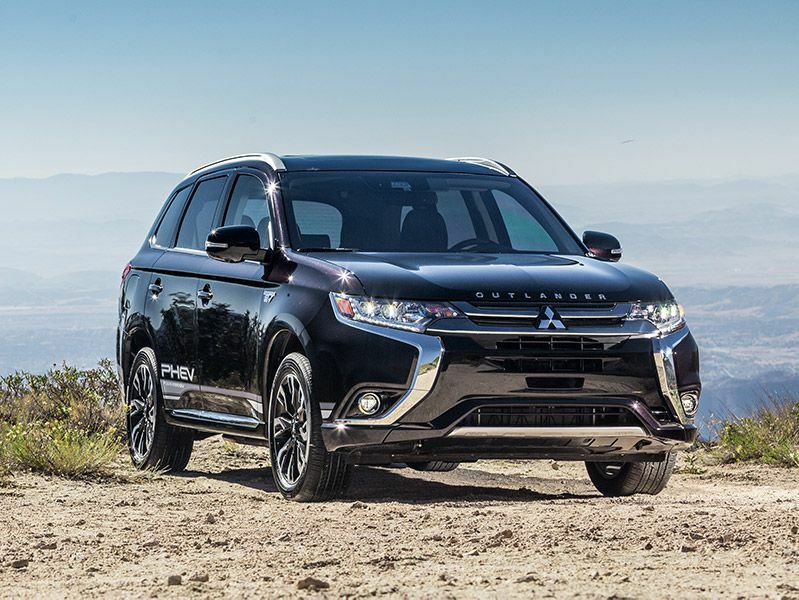 The 2019 Mitsubishi Outlander makes a good crossover option if you’re shopping for electric cars and SUVs with all-wheel drive. The Outlander PHEV actually has the same all-electric driving range as the Volvo S60, with the same 74 MPGe efficiency rating. That said, the Outlander’s gas-powered range extender gives you less overall driving capability - 310 miles in total - with a lower efficiency grade of 25 mpg. The Mitsubishi’s main advantage is its SUV-like cargo capacity of 78 cubic feet. (In comparison, the S60 has less than 12 cubic feet of trunk space.) The Outlander also checks in with a fairly advanced range of additional technologies such as Android Auto, Apple CarPlay, Rockford-Fosgate audio, and a full package of driver-assistance measures. Since we’re counting PHEVs, Volvo has four different electric cars and SUVs with all-wheel drive. 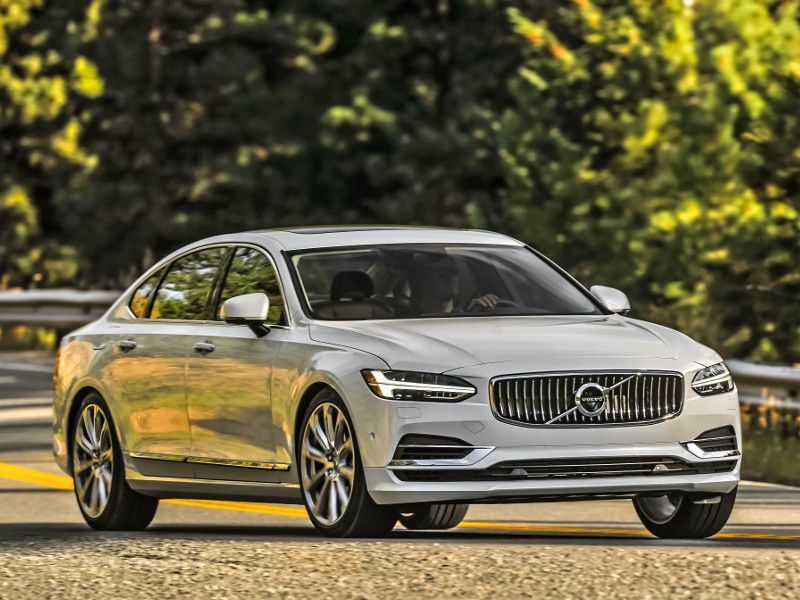 The one with the next-highest range is the 2019 Volvo S90 flagship sedan. You can drive the lavishly equipped S90 for 21 miles without using a drop of gasoline. After that, the car’s supercharged, turbocharged gas engine kicks in so that you can travel 470 more miles. The S90 can pamper you with premium content either way. If you’re lucky enough to be up front, the car’s climate-controlled seats can massage your back for a relaxing ride. But the outboard rear seats also are available with heating, and everyone will love the optional Bowers & Wilkins audio system. It’s a 19-speaker setup with a ventilated subwoofer for ultra-deep bass performance. BMW also fields multiple electric cars and SUVs with all-wheel drive, but the one with the longest range for the current model year may be a bit of a surprise. It’s the 2019 BMW i8 sports car. The i8 is the real deal, beginning with an exotic design that blends carbon-fiber construction with supercar cues like scissor doors. They open upward on single hinges located right in front of the car’s side-view mirrors. 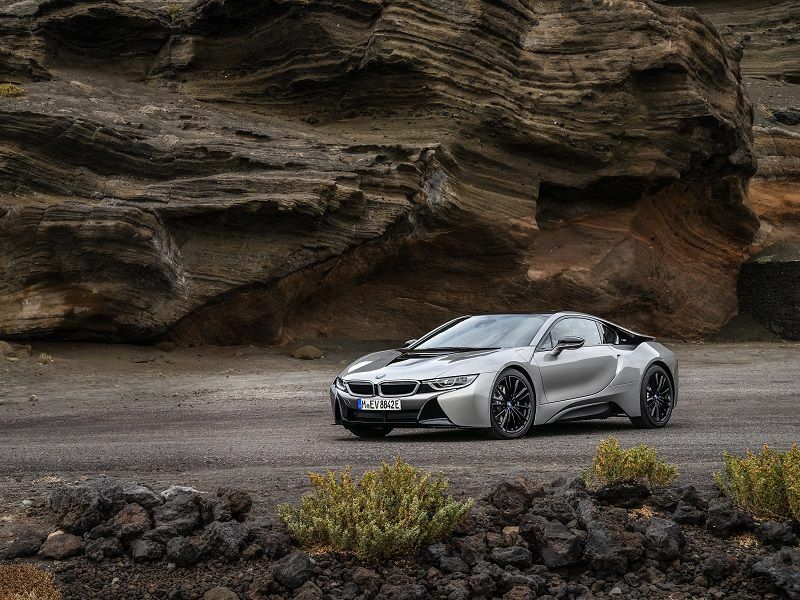 Also, the i8 offers the same doors, and the same powertrain, in two body styles. Boasting 0-60 times of 4.2 and 4.4 seconds (respectively), the Coupe and the open-air Roadster each can be driven 17 miles on electricity alone, and 303 miles in their gas-powered hybrid modes.